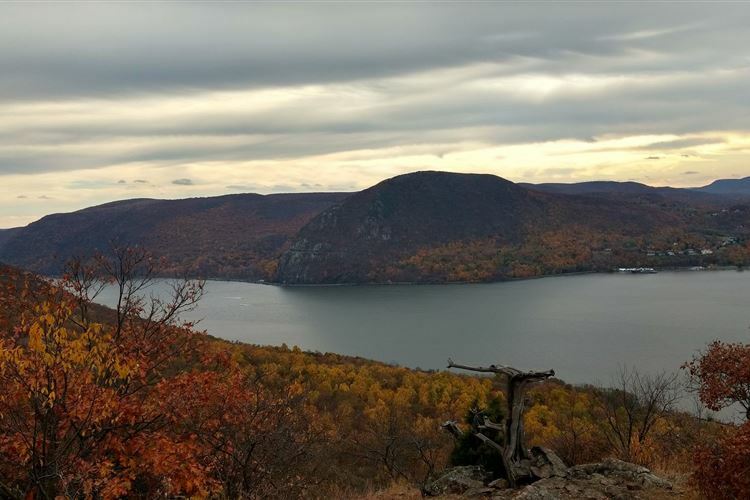 Fine walk along this ridge above the Hudson river. Big views, lovely forest and scenery. A day walk, but fairly demanding. 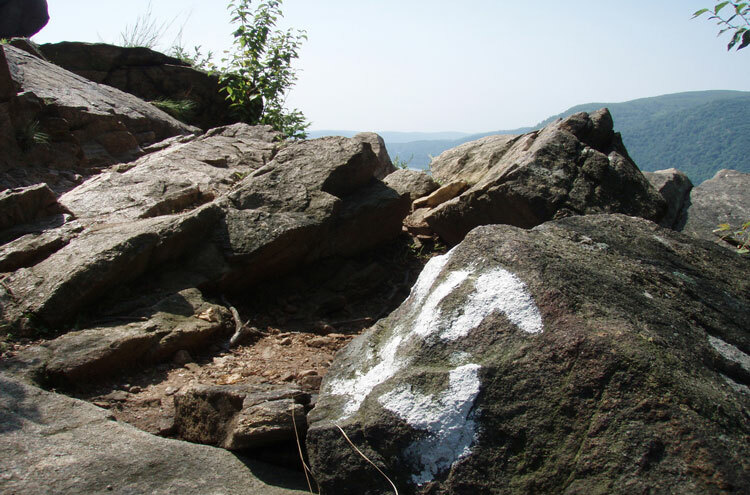 This is a short ridge hike overlooking the Hudson River. The ascent is steep and rocky with lots of scrambling. Can be made into a loop with woodland trails. Great views of the Hudson. Trail-head is accessible via train from NYC.